Isa Gambar: "Exit-poll" organized in more transparent way"
Today Musavat Party Head Isa Gambar has held a press conference dedicated to re-parliamentary elections on May 13.(APA). Isa Gambar has stated that the party has forwarded 7 candidates on 10 constituencies, on the other constituency it supports other party's candidate. Agreement protocol on installation of Chinese automobiles in Azerbaijan has today been signed between Lifan Company, China and Ganja Automobile Plant (GAP) on GAP premises. 2nd Furnishings and appliances exhibition (CEM) and Cleaning and hygiene equipments exposition (CleanExpo) has started in Baku. Bank Standard CJSC assets aggregate AZN131 225 thousand (US $145 224 thousand) for May, 1 this year, exceeding last month figure by 14% and last year figure by 32%. The Guardian: "Cheney has Turkey in his sights"
The vice-president highlighted an unheralded goal of US foreign policy when he took a shot at Russia, writes David Gow. The transportation of oil and oil products from Kazakhstan and Turkmenistan via the transport corridor Europe - Caucasus - Asia (TRACECA) are expected in the volume of 10 million tonnes. Incomes and expenditures of Azerbaijan's state budget for 2006 can be increased be increased for AZN 350 million, Prime Minister Arthur Rasizade told journalists. Asian Development Bank (ADB) has loaned 179 mln dollars to Azerbaijan in accordance with the Country strategy and program update, ADB's office said. Some 2 bln 239. 31 mln cubic meters of gas have been produced in Azerbaijan within past four months that is 591,9 mln cubic meters more of the same period of 2005. Adidas-Salomon buys Reebok brand distribution rights for part of CIS. Chamber of Accounts of Latvia submitted draft document on cooperation agreement to Azerbaijani structure. State Customs Committee (SCC) negotiates foreign companies on purchasing new equipments to simplify the examination process and to strengthen control over water frontiers. State Customs Committee (SCC) currently considers World Trade Organization (WTO) customs tariffs for Azerbaijan. Aydin Aliyev, Chief of the Committee, told in his speech to the media that WTO wants Azerbaijan to consider proposals on customs tariffs. State Committee on State Property Management has declared investment competition for selling 99,83% (including 14,83% remaining after privileged sales to employees) of Hotel Azerbaijan OJSC stocks. Azerbaijan International Operating Company (AIOC) exported 5 507 thousand tons oil in January-April this year exceeding preceding year's figure for the same period by 60,7%. The government of RK regards an opportunity of a gas pipeline construction through the Caspian Sea. Turkey's Energy Minister: "BTC are protected in high level in all three countries"
"The oil will reach Ceyhan (Turkey), on 27 May, and we'll load the first tanker on that day. Samir Sharifov: "2006 state budget will be changed due to increasing incomes"
"Long-term salary increase policy is now driven. For this purpose state budget should be changed that demands more expenses," Samir Sharifov, Finance Minister, told to the media. Oil major BP will load the first cargo of Azeri crude from its $4 billion BTC pipeline in Turkey at the end of May, trade sources said on Tuesday. Fazil Mammadov: "Barmek accounts will probably be re-blocked"
"It is absolutely legal to put up property of some public enterprises at auction. This rule is expected to be implemented over some other public enterprises too," Fazil Mammadov, Taxes Minister told in his speech to the media. Zaman Online: "Trans-Caspian gas pipeline being warmed up again"
Article by Mirza Cetinkaya, published in Turkey's Zaman Online edition. The Fifth Annual Meeting of the Intergovernmental Commission of the Europe-Caucasus-Asia Transport Corridor TRACECA and the Second Ministerial Conference on enhanced Transport Co-operation between the EU, the Black Sea/Caspian littoral States and their neighbouring countries ("Baku Initiative") were held in Sofia on 3 May. Ali Abbasov, Azerbaijan Minister of Communications and Information Technologies praised the development and the success achieved by Jebel Ali Free Zone "Jafza" that ranked them in the leading Free Zones to export its goods and products world-wide in a visit paid to Jafza. One of 5 module stations to be built in Azerbaijan will be constructed in Baku Power Station area which activity is limited for being economically unprofitable and due to un-normal work graphic. Number of tax-payers who has debts on taxes has decreased by 9,6% in January-March this year. The figure in April was 30,5 thousand persons and legal entities. 8 050 thousand barrels (1 083 thousand tons) pure oil has been delivered to Baku-Tbilisi-Ceyhan (BTC) pipeline by May, 1 this year. State Oil Company of the Azerbaijan Republic (SOCAR) transferred AZN60 041 into state budget in April this year exceeding last year's indicator for the same period by 2,2 times. Turkish PM: "BTC pipeline to flow by June"
The Baku-Tbilisi-Ceyhan oil pipeline will see oil flow in June, Turkey's Anatolia Adana news agency reported Sunday. Azerbaijan government initiates to privatize agro credit organization till 2008. The State Oil Company of Azerbaijan Republic (SOCAR) bolsters 50 students of the Azerbaijan State Oil Academy through awarding monthly scholarships in order to provide oil industry with qualified cadres. Communications Minister discussed prospects of bilaterial cooperation. Rajap Tayyip Erdogan: "There exists no threat to Baku-Tbilisi-Ceyhan oil pipeline"
The official opening ceremony of the Baku-Tbilisi-Ceyhan (BTC) Main Export Pipeline is due to be held in Ceyhan district of Adana province in Turkey in July this year, APA informs. American companies intend to construct big petroleum chemical complex in Azerbaijan, informed Heydar Babayev, Minister of Economic Development. From beginning of this year, increase of fuel twice had made impact on agricultural development in Zagatala. BP to withdraw from the Baku-Ceyhan pipeline Project? BP turns over its Black Sea shares. The Bahamian court is to decide on Czech-born financier Viktor Kozeny's possible extradition to the USA on May 19, Kozeny's Bahamian defence counsel Philip Davis said. Minister of Communication and Information Technology of the Republic of Azerbaijan recently visited the premises of Etisalat University College. A tender for a million barrel batch of Azeri Light crude has been wrapped up, according to the State Oil Company of Azerbaijan. Capital expenditures of the State Oil Company will reach $300 million, up by 16.5% on the same period last year. Another poultry and poultry products qualified fair is organized today in Baku. The Ninth Eurasian economic summit will take place May 8-10 in Istanbul, Turkey, Industry and Energy Ministry's PR office announced. The East Azeri Topsides construction progress at the Heydar Aliyev Baku Deep Water Jacket Factory is on target with 93% of the overall work already complete against the plan of 94%. The Shah Deniz gas and condensate development project has continued to progress according to schedule since the beginning of 2006. Kazakhstan calls for building Aktau-Baku pipeline in Caspian Sea. Azerbaijani Sugary Production Association has exported its first products to Georgia today. Flights have started on Vilnius-Baku airline this week. Airline travels are run twice a week, on Wednesday and on Sunday by Air Baltic Company. Azerbaijan's foreign debt grew 5.48% to $1.741 billion in the first quarter of 2006. The 2nd Azerbaijan international exhibition of Electronics and Household Appliances, hygiene facilities "CEM/CleanExpo-2006" will open in Baku May 11 at the Heydar Aliyev Sport and Concert complex. The agreement on cooperation between Counting Chambers of Ukraine and Azerbaijan was sealed on May 4. The natural and juridical persons were involved in foreing trade with 112 countries in January-March this year. Ali Abbasov, Communication and Information Technologies minister starts official visit to United Arab Emirates May 5 on invitation of Sultan bin Said Mansouri, Minister of the State sector development of the Emirates. Huseyn Arabul: "We are going to sue state structures, unless they shortly pay their debts"
"Barmek-Azerbaijani Electricity Company LLC raised a question vis-?-vis the Economic Development Ministry on violation of stipulations of its agreement with the government and some state structures’ not paying their electricity fees," Company President Huseyn Arabul stated. Ministry of Economic Development has organized special commission to check the fulfillment of the contract signed between the Ministry and Barmek-Azerbaijan Energy Network Limited Liability Company (LLC). Anar Ahmadov, Department Head of the Committee says the paper may be issued to any natural or juridical person giving credits. Rovnag Abdullayev, President of Azerbaijan State Oil Company (SOCAR) met May 3 with the delegation of "Lukoil Overseas Holding" Ltd led by its Vice President Azat Shamsuarov. In the meeting of Economic Cooperation Organization to be held in Baku May 5, chairmanship will be transferred to Azerbaijan from Tajikistan. Fazil Mammadov, the Minister of Taxes, ratified the package of regulations on the right of municipalities to collect taxes. An international conference entitled "Law and Legal State: legal reforms in Azerbaijan" is due to be held May 3 in Baku, with representatives of Azerbaijan Armed Forces in attendance as well. A Topaz delegation visited Azerbaijan in the Caspian region to hold discussions with SOCAR. In the INAM Production Sharing Agreement (BP 25% and operator, SOCAR 50% and Shell 25%) planning of the INX-2 well has now moved into the final stage. Ali Abbasov, Azerbaijani Minister of Communication and Information Technologies will leave for UAE on May 6-7. The Baku Interbank Currency Exchange (BICEX) has defined the list of banks - leading operators of foreign currency exchange market in April 2006. 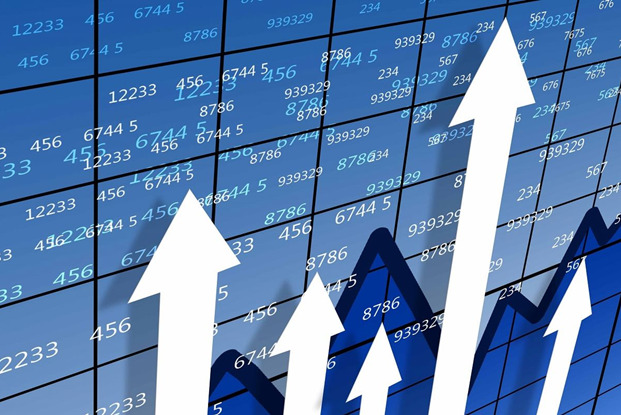 Market rate of national currency reached 0,59% this April, Baku bank stock exchange informs. The governments of Kazakhstan and Azerbaijan are intensifying construction of a joint fibre-optic line on the bottom of the Caspian Sea between Siazan (a town 120 km North of Baku) and Aktau. Deputies of the Senate of the Parliament of Kazakhstan have passed the Law On ratification of a Protocol on amendments to the Treaty between the Governments of Kazakhstan and Azerbaijan on free trade as of June 10, 1997. The Azerbaijani President, Ilham Aliyev accepted delegation from the Norwegian oil company, Statoil and its president, Helge Lund in charge. The 39th annual meeting of Asian Development Bank (ADB), which to gather delegations of ADB member states, heads of international financial structures, donor organizations, businessmen and mass media representatives will take place May 3-6 in Hyderabad (India), press-service of Ministry of Economic Development said. The agreement on the transportation of Kazakh oil via the Baku-Tbilisi-Ceyhan (BTC) pipeline between Kazakhstan and Azerbaijan provides transportation of 25 million tonnes of Kazakh oil per annum, Abbas Abbasov, Vice Premier of Azerbaijan, told journalists. Economic Ministry Committee established for working with "Barmek"
Though "Barmek" Azerbaijan Open Joint Stock Company has paid part of its debts for March, it will not be able to pay for the energy obtained with regard to freezing the bank accounts, "Barmek Azerbaijan Electricity Liability Network" Limited Liability Company President, Huseyn Arabul stated. Two additional oil-wells are expected to be drilled in "Guneshli"
Representatives of State Oil Company (SOC) have visited oil-production platform No.19 in "Guneshli". "International Insurance Company" (IIC) has held audit of management system aimed at getting ISO-9001 certificate. Ministry of Labor and Social Protection in cooperation with Ministry of Taxes examines the situation in the legalization of job contracts between employers and employees among large tax-payers. A 3 day conference dedicated to the prevention of terrorist attacks on oil and gas pipelines is taking place in Baku.